When EURACTIV first discovered the WhyEurope Twitter account a few days ago, we were puzzled by the freshness of the pro-European messages, in stark contrast to the EU’s usually boring official communications. 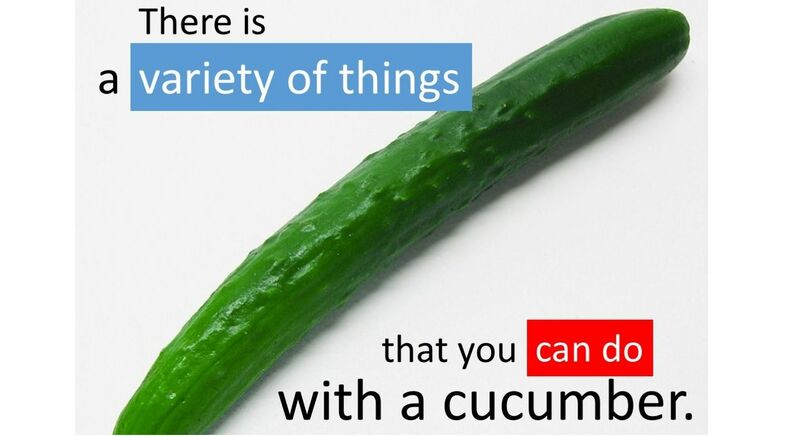 Under the hashtag #cucumberconspiracy, one post debunked the many untruths spread about the EU’s rules on curvy cucumbers. Another tweet explained the EU’s privacy rules with a photo of what appears to be a young person smoking a joint. This is definitely no official Commission message. It turned out that this was the initiative of a group of students, two of whom decided nearly half a year ago that their generation needed to become more active in times of rising right-wing populism and nationalist movements. Now the group consists of six students: Benedikt Erasmus Kau (German), studying in Maastricht, the Netherlands; Hans-Christoph Schlüter (German), studying in Tübingen, Germany; Mirko Moser-Abt (German), studying in Oslo, Norway; Tabea Wich (German), studying in Maastricht; Anne Havenith (Belgian), studying in Aachen, Germany; and Amelie Kircher (German), studying in Freiburg, Germany. The group plans to expand further. For the time being, the initiative is not supported by any European institution, political party or other organisation, and has not received any donations. But they are considering participating in competitions for European projects. Benedikt, who was born in Dresden, in eastern Germany, said that the group’s idea was to fight populism using its own weapons. “We try to break down complex reasons for a united Europe into concrete advantages for the individual in his daily life. We call our approach Positive Populism,” he said. The initiative’s Facebook page explains this in further detail. The group so far operates on Facebook, Twitter and Instagram, and its website is about to come online. For Benedikt and project co-founder Hans-Christoph, the Brexit referendum was a wake-up call. “Now is the time,” Benedikt thought on 24 June (the day of the vote). “If it’s not already too late”. But he added that he and his friends were also worried about rising populism in Germany and other countries. “We definitely see the EU under attack. We do not see it close to collapse – perhaps out of the optimism of the younger generation. But we think that the pro-European voices are just too quiet,” Benedikt said. He did not appear to blame people who believe in populists. “Europeans often take the advantages of the EU as a given, as self-evident; they are not used to fighting for peace, prosperity, democracy or freedom, as past generations were. All the talk about ‘European values’ is hard to grasp for the ordinary citizen. At the same time, people are afraid of current developments and find it easier to just blame foreigners – or eurocrats – for the poverty in the streets. Who can blame them?” he said. But he said he has never seen ordinary people holding booklets or brochures explaining how the EU works and spelling out the advantages of the Union. He mentioned the Erasmus programme, saying it was clearly a very popular one, but added that many people were not aware it was an EU initiative. Benedikt also stressed that his ‘positive populism’ project was not doing marketing for the EU, and that he and his friends actually had concerns and believed that the Union needed to change. “I have a lot of criticisms of it, but still, we are trying to advertise this common European approach. I think we should have some form of Union, which should change. We are really not trying to advertise the European Union as such, we are not propaganda for the Union,” he said. Asked if he planned to continue with communications after he finished his studies, Benedikt said the project was very important for him at the moment, but that after his studies he would probably be doing other things. Populism is already positive, its the outdated dogma of ‘ever closer union’ that is negative. Wow! Ivan! You really sound worried about these “few pro EU students”. And you should be. Europeans are slowly waking up and starting to realize what you want to destroy: the roof they live under. And yes there are many of us. The only ones who have underestimated the situation is you and your ideological allies. You all believed the fake news that Brexit and Trump didn’t have a chance and that it would never happen. The world is changing and the pendulum is swinging back…just like it always has since the days of the Roman empire. You are the ones who are worried and you’re so desperate that you latch onto student initiatives to show how rosy and wonderful the EU really is when working class people know otherwise. It will continue to get worse for you while it will continue to get better for populists…and it is a beautiful thing. That is precisely why the socialist, EUSSR construct has progressed so far already without, excepting Britain, any resistance to the elimination of national traditions, cultures and even legal processes. The current generation of “Europeans” has been brain-washed into ignoring the two most important events in history of the past 100 years. They seem to be ignorant of the fact that, were it not for the bravery of millions of young men principally from Britain, America, Canada, Australia/New Zealand and other British Empire countries, bravely supported by many from Poland and Czechoslovakia (and, of course, a relative handful of French Resistance fighters), plus the millions of Russians who also fought and lost their lives fighting against a certain German (who is not allowed to be mentioned in the EU), most Europeans would now be living under a very different regime. Migrant crisis – You mean the American-Russian-ISIS created crisis? The banking crisis – You mean the crisis that started in 2008, because of American Banks, and hasn’t gone away because of lack of fiscal policy? The agricultural crisis – Well, I googled “current agricultural crisis” and stuff like Ethiopia and other African Countries. If I remember correctly, Europe is not in Africa. The misery the EU has heaped onto millions of people across Europe – Hmmm… nope. The majority of people have never been wealthier for the last 100 years, employed or not. ISIS is an American and European crisis , as the EU is in lockstep with Washington foreign policy . Brussels has completely failed to slow or stop the flow of migrants into Europe . The Russians only entered the fray after 4yrs of US/EU failure to achieve any objective re Syria . I do not understand what European values are, in that, are they different to British values, French, German and all the other countries’ values? If there is so much advantage in the EU (and its predecessors), how come it has not been possible to communicate or even “feel” what this advantage(s) is? I appreciate that the EU did not necessarily create all of the crises currently in place (although it has been a major contributor to the Euro nonsense going on in Greece and elsewhere – how come the Greeks were allowed to join the Euro when they were so ill suited to do so then and still are, along with the Italians? Because Helmut Kohl agreed to it even knowing they were not fit to do so) but it has grossly mismanaged pretty much all of them. To which pro-Europeans will no doubt respond that we need more Europe i.e. a European Government. And I would then still question, how would that have improved or helped mitigate the impact of these crises? How would an EU government avoided Merkel calling all asylum seekers to Europe (other than she and all other national leaders would be reduced to Regional Governors and stripped of such power). The EU is not about the 500 million people in Europe – it is about a so-called political elite moving towards the creation of some kind of EU state. It has been, is now and always will be. That is why it is incapable of learning from the crises that afflict it. It is not interested in making any kind of change or adaptation. The “project” is getting on for 60 years and is not fit for purpose. Do you want the most obvious one or a list of all of them? The most obvious being that you can walk from the French to the German Border without anyone pointing a gun at you, arresting you for 10 hours and deporting you back with a fine and a temporary travel ban. No use bringing Greece into the argument. Greece lied about her economic status. It’s in the past, and it will get better eventualy, because again, the fault lies in the fiscal and competitiveness part of the economy. We do not need an European government, we need a full Euro policy, and not just a monetary one. Right now, there are 27+1 economies in the EU. For the euro to work, and employment to rise, there needs to be 1. That is not a government. And on the refugees, they would have come either way, because they had a choice between Europe, Iraq, Iran and ISIS. I do not agree with Merkel, but, and that is a big BUT, if there were more democratic institutions apart from the Parliament, with more power, all 28 would have had to agree beforehand. Greek and Italian border guards were insufficient, therefore all of EU’s border guards were insufficient aswell. You don’t really expect people who are so afraid of the EU that they want is destroyed to join in a movement to modernize is, do you? 🙂 The truth is that Europe has enemies that want to trash talk it to death. And some of them are paid by Putin to do so. Soon enough a Trump chorus will join them. But I am glad you are raising your voice! The enemies of the EU are all in the commission. The “project” is getting on for 60 years and is not fit for purpose. – So instead of saying it’s flaws over and over again, join movements for helping to modernize it and of course when anyone suggests changes the fools in the Commission block the proposals. “Taking on the populists at their own game”. You really don’t get this whole populism thing do you? Populism is defined as ‘political ideas and activities that are intended to get the support of ordinary people by giving them what they want’. By giving them what they want. Populism’s weapon is democracy. For decades the European project has been about having an all powerful governing elite that stops the people in nation states from having what they want in case it doesn’t match what the elite wants. That is anti-democratic, it is what Monnet and Salter planned and it is part of the EU’s DNA. ‘Why Europe’ doesn’t understand this fundamental issue, which is why this campaign will make no difference. Silly tweets and student humour will only appeal to those already in thrall to the EU. It won’t change minds as people will see the central problem of the EU’s anti-democratic contempt and distrust of ordinary people is not being discussed. Hip little adverts of Chic young students will no longer cut it. Its amazing that the first EU meeting to occur in the NW of England occurred in the year the UK opted for Brexit. It all seems way too little too late.